Winter is a season we know well. ASV machines are built in a place familiar with frigid temperatures and we make machines that excel in them. Based in Northern Minnesota, we have our roots in snow, so all-season, all-weather tracks come standard on our compact track loaders. We know operators need their machine to be reliable, powerful and exceptional in the cold. Our patented Posi-Track® technology offers season-leading traction in the snow and lots of power to put it to good use. With better traction and pushing power, ASV compact track loaders and skid steers move more snow, more quickly than the competition. When the weather gives you an opportunity to get out there and make some dough in the snow, you need to take advantage. 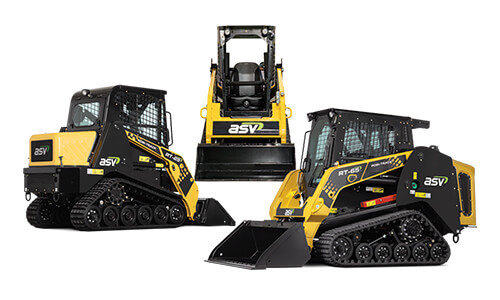 The year-round performance you get with an ASV machine makes sure you’re taking care of business by the inch or foot. With a heated and pressurized cab, these machines offer comfort on the coldest of days. In fact, when the path is plowed, operators might have a hard time venturing back out into the cold. Getting stalled in the snow is a bad place to be. We make our machines to be serviceable so they’re the most reliable machine in the industry when you need them to be.